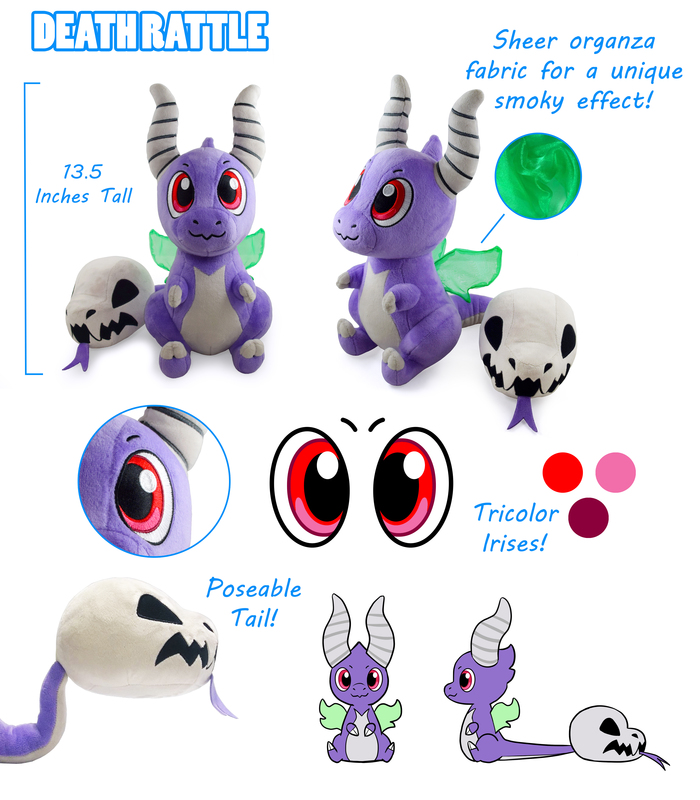 Dreggons - Baby Dragon Plush Toys! 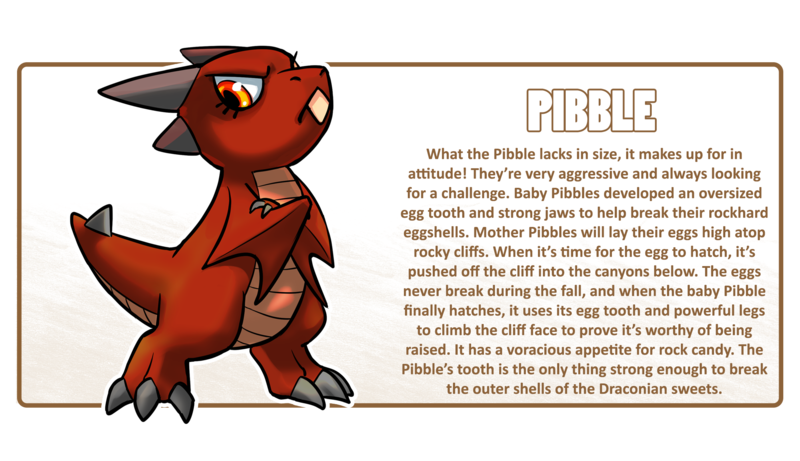 Dreggons are baby dragons from a magical world called Draconia! Meet Death Rattle, Pibble, & Sundancer in this designer plush series! Welcome to Draconia, a magical world inhabited by fantastic creatures called Dreggons! Discover exciting and mysterious new species as you journey across the land. A brand new adventure awaits! PlanetPlush is a small business located in the beautiful hills of rural West Virginia. Heather Hays is the owner and product designer. Her career in plush making began in 2011 as a hobby. Since then, she has designed plush toys both professionally and for fun. Her goal as well as PlanetPlush's is to spread happiness through the creation of high quality plush toys and fun, new characters. On the long drive home from Baltimore, Maryland, an idea was born, one of dragons, and hatchlings, and creativity! It was dreamlike at first; a what-if scenario where we imagined having our own toy line full of unique and exciting characters. After months of brainstorming and character creation, we, at PlanetPlush, were finally ready to officially begin the Dreggons project! But like with most babies, these little hatchlings were stubborn. We found it difficult to find a manufacturer whose quality and professionalism lived up to our high standards. So rather than proceed, we put the Dreggons on hold indefinitely. But these little babies were itching to get out of their shells! Our passion for the project fueled us and we worked harder than ever to help these babies grow. Now, we're finally ready to introduce you to the Dreggon family! We take pride in producing high quality products. Each Dreggon plush is made from super soft minky fabric with machine embroidered details and hand sewn features such as paw sculpting! Our number one priority is safety assurance in all products that we make. All of our plush undergo strict safety testing at a CPSC accredited laboratory. 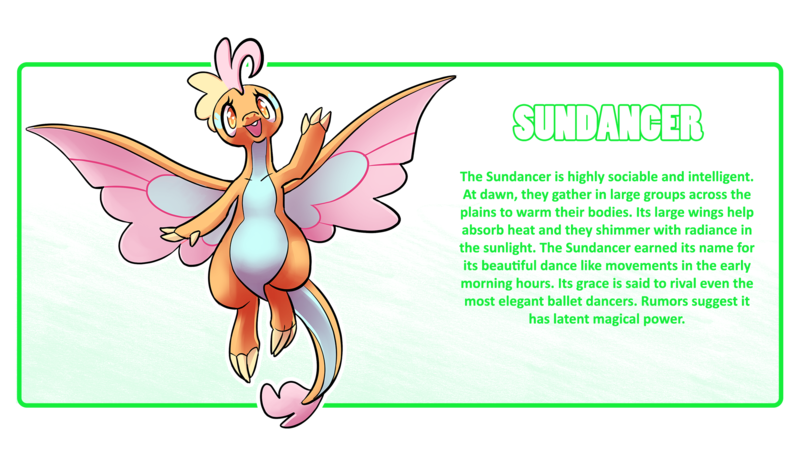 Sundancer was our first Dreggon! It has both machine embroidered and appliqued details, plus hand sculpted paws! The wings are made from a holographic knit spandex fabric with foam interfacing sewn inside. They're also poseable! 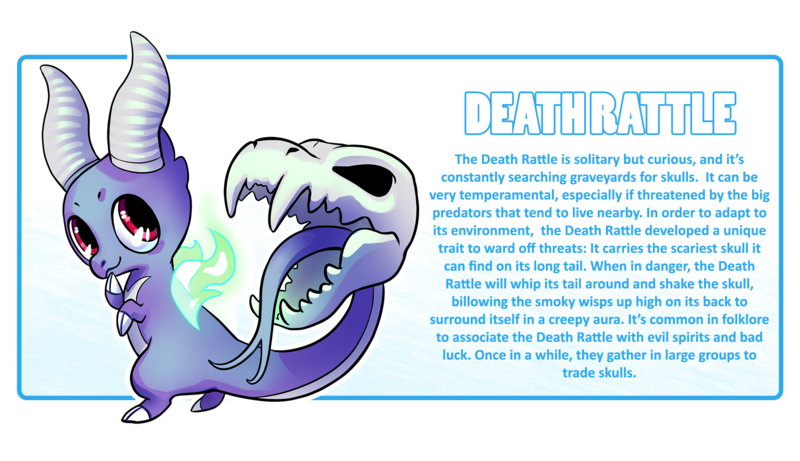 The Death Rattle is very unique! 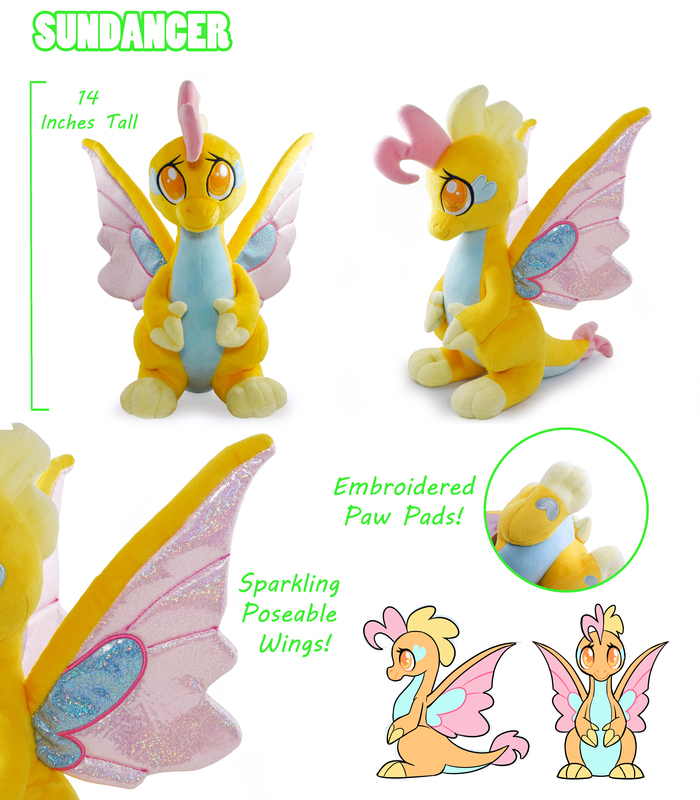 It has a plastic armature inside its tail so it can bend and pose! The eyes and horn details are machine embroidered while the skull details are appliqued. The sheer wings are representative of the green aura it emits! The Pibble's wings can be posed in the open or closed position! It has many embroidered details, such as its eyes and belly stripes. The paw pads on the bottom of its feet are appliqued and are super soft! All pledge tiers (excluding the Support the Dreggons tier) will receive one FREE 5x7 kiss cut sticker sheet featuring the Dreggons in their habitats! Cool! Kickstarter will help the Dreggons reach a broader audience! The manufacturing costs of quality plush toys is very high, and it's often a struggle for small businesses to self fund without running the risk of debt. By using Kickstarter we can gauge the interest for our products and bring attention to a potential new IP (intellectual property)! We want you to know exactly what the money will be used for! 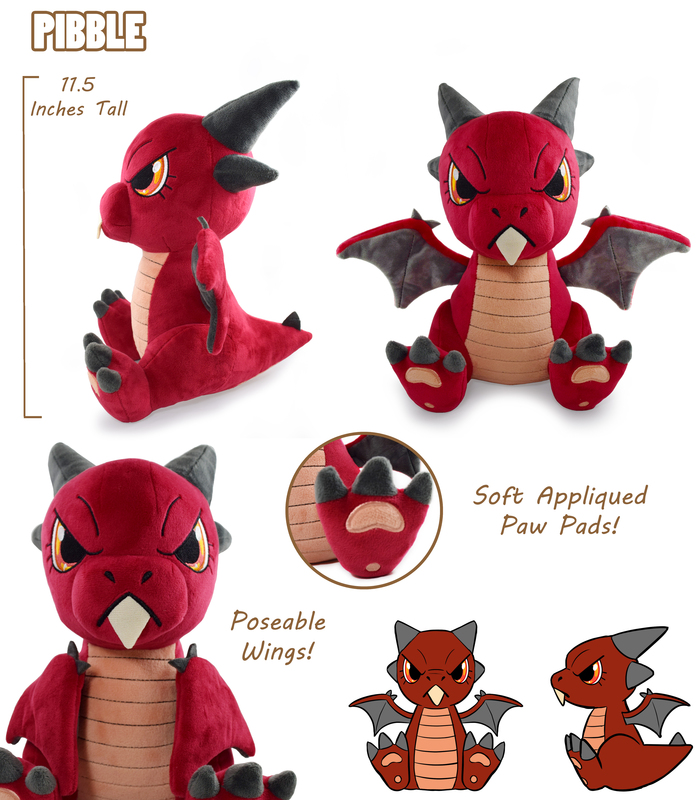 The 'Production' costs include the manufacturing price for each Dreggon plush along with ocean freight shipping, customs clearance, and safety testing. The 'Shipping' is the cost of getting your chosen rewards from PlanetPlush to your doorstep. The price also includes any packing materials that will be used to protect your rewards. The 'Rewards' includes the costs of getting reward items other than plush manufactured. The 'Fees' is a certain percentage that Kickstarter will take from our funds if our goal is met. This includes Kickstarter's fees as well as transaction processing fees. If fully funded, the Dreggons will set sail across the sea! The plushes will travel by ocean freight from the manufacturer to PlanetPlush. Once we have the plush in hand, we'll package them up and send them to our backers along with any other chosen rewards! All domestic (within the United States) orders will be shipped in a box via USPS Priority Mail and normally takes 2 - 3 days to arrive after shipping. International orders (outside of the United States) will ship via USPS First Class mail. First Class mail can take anywhere between 2 - 6 weeks to arrive. It's possible that it may take longer depending on your country's customs process. We strongly urge our international backers to be aware of any potential customs fees or taxes their country may apply. We're also offering some unique Dreggon merchandise! Feel free to have a look around! Instructions: Simply increase your pledge amount by the total price of add-ons you want and then save! After the campaign we'll send you a survey that will ask you what items you'd like to use your additional pledge money for. $30,000: We'll travel to a strange new habitat where a rare and mysterious Dreggon lies in wait of being discovered. A new species will be unlocked! $40,000: We'll set sail across the seas of Draconia in search of a Dreggon species that's specialized to life on the islands. There are many areas of Draconia that haven't been explored and new Dreggons are waiting to be discovered! If we surpass all of our listed stretch goals, any additional funds will be used for the creation of brand new Dreggons and rewards! If we meet our goal, Kickstarter will hold the funds for 14 days. After it's processed and released we'll pay our manufacturer to produce the Dreggons. Here's what our timeline looks like! 2 weeks to ship to backers! While this is our first Kickstarter, we're experienced with having goods made overseas. Our manufacturer has produced plush for us before and we're comfortable working with them. The Dreggons are ready to go into production once funded. It is possible that the factory may have delays. This could be due to the need to order more materials, holidays, inclement weather, or another unforeseen event. We have great communication with our factory and if a situation arises, we'll be sure to find a solution to the issue and let our backers know of any delays. We also have experienced, on hand customs brokerage. If for any reason the Dreggons are selected by customs for inspection, our broker will be available to help ease this process. If this happens, customs will have our full cooperation and we'll disclose any issues or possible delays with our backers. This tier is for those who wish to show their support! You'll receive a digital thank you card! Receive one (1) three inch acrylic charm keychain of your favorite Dreggon! You choose which charm you want! Receive one (1) plush of Sundancer! Receive one (1) plush of Death Rattle! Receive one (1) plush of Pibble! Receive the full set of Dreggons charm keychains! Receive two (2) Dreggon plush. You choose which plush you want! • 2 Dreggon plushes of your choice. Want all the Dreggons? Then this is the tier for you! Receive the Sundancer, Death Rattle, and Pibble! Receive three (3) Dreggon plush. You choose which plush you want! • 3 Dreggon plushes of your choice. For the ultimate Dreggon collector! Receive Sundancer, Death Rattle, and Pibble plushes, the Dreggons charm set, and a holographic Sundancer print!